Isagenix Review for 2019: How Do Isagenix Shakes Measure Up? Best Home Gym Equipment Reviews 2019 Isagenix Review: How Do Their Shakes and Products Measure Up? 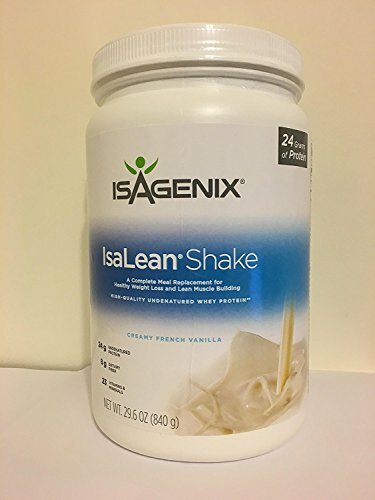 Isagenix IsaLean is a meal replacement shake that claims to be able to have scientific backing behind its claims to help you lose weight fast while supporting lean muscle growth. There is a lot of online hype about this product. In this article, we get to the facts in order to determine whether or not Isagenix deserves to be part of your weight loss strategy. Isagenix IsaLean contains too many calories and too much sugar to effectively promote long term fat loss. It is also an expensive product and your purchase may lock you into a long-term commitment. We do not recommend Isagenix as an effective weight loss product. Instead, we suggest that you consider 18-Shake, which has higher quality proteins, contains all natural ingredients and is sweetened with stevia. Isagenix combine a number of products into a weight loss program which is marketed in a number of variants. The most popular are their 30 day plan the their nine-day weight loss system. Here’s what you get with the 30 day weight loss pan . . . The Isagenix program consists of daily shakes and cleanses. The key product around which the plan is built is the Isagenix IsaLean meal replacement drink formula. Isagenix IsaLean is a meal replacement product that you take instead of one of your regular meals. It contains 240 calories per serving, which is quite a high amount in terms of a meal replacement. 22% of each serving is fat, as a result IsaLean can be considered to be a high fat food. The protein contained in this product comes from a blend of whey protein concentrate and milk protein concentrate. Isagenix is a multi-level marketing company, along the lines of Amway and Herbalife. Rather than pursuing conventional marketing methods, the company relies on distributors to recruit and train their down-line in order to build a business and expand product sales. Protein is key to an effective weight loss, muscle retention program. Isagenix IsaLean provides you with 24 grams of protein in each serving. That protein is derived from a blend of whey protein concentrate and milk protein concentrate. 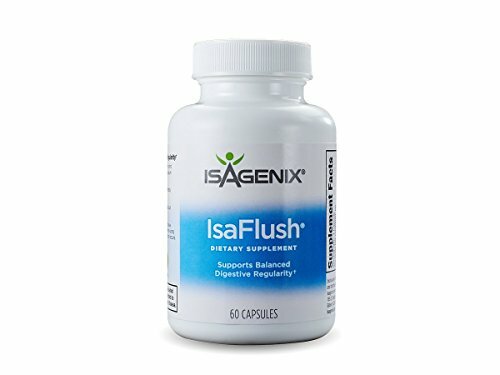 There are 23 vitamins and minerals in the Isagenix IsaLean formula. This is important when you consider that this formula is used as a meal replacement. The high vitamin count gives you confidence that it will provide the essential nutrition that you need. The Isagenix program is packaged as a complete system to give you a total weight loss solution in the one purchase. It includes detox formulas, meal replacements, electrolyte and vitamin provisions, along with toxins and cleansers. Total daily caloric count is an important aspect of achieving real, sustained fat loss. That’s why the number of calories in your meal replacement products are of critical importance. Each serving of Isagenix IsaLean delivers 240 calories. If you have two of these drinks each day, that’s nearly 500 calories. That is a lot in comparison to rival weight loss /meal replacement products, most of which contain less than 200 calories per serve. Of the 240 calories in IsaLean, 55 of them are derived from fat, giving the product a 22% fat content. Each serving of Isagenix contains 11 grams of sugar in the form of fructose. Fructose is recognized as one of the worst artificial sweeteners because it does nothing to suppress the appetite. It is also believed to cause cardiovascular problems. Another potential issue in this product in xantham gum. This is a thickener which is made from sugar and bacteria and has been shown to cause bloating, flatulence and diarrhea. The quality of the protein used in Isagenix is less than ideal. It consists of an indeterminate ratio of whey protein concentrate and milk protein concentrate. Milk protein concentrate is between 40 and 90% protein by weight milk extract that is sprayed dried and processed. This is a cheap way to boost the protein content of a food. However, the protein may be sourced from many places all over the earth, sometimes coming from countries with very low safety standards. The Isagenix IsaLean product can be purchased as a stand alone product or you can purchase the overall program. When purchased individually, you’ll pay around $50 for a 14 day serving of the product. In other words, a month’s supply will cost you about a hundred bucks. The company does offer a money-back guarantee, but it should be noted that some customers have reported issues with receiving their refund. The Isagenix diet plan has two distinct phases: shake days and cleanse days. On shake days, you replace your breakfast and dinner with Isagenix IsaLean shakes. Each shake consists of two scoops of Isagenix blended with 8 oz of water. Each of these shakes provides you with 23 grams of protein and 240 calories. For lunch on shake days, you should consume a whole food meal of between 40o and 600 calories. Mid meal snacks can also be added but must come from an approved list of products put out by Isagenix which include . . .
On Cleanse days, none of your three main meals will consist of whole foods. Rather these meals should consist of beverages made with Cleanse for Life powder or Cleanse for Life liquid. The mid meal should be made up of an apple, celery, almonds or an Isagenix snack. The following are typical diet plans for both cleanse and shake days . . .
Before breakfast: One serving of Ionix Supreme and one Natural Accelerator capsule. Snack: One serving Ionix Supreme and one IsaDelight chocolate. Dinner: Grilled chicken with vegetables and brown rice. Before Bed: One IsaFlush capsule, taken with water. Breakfast: One serving Cleanse for Life. Lunch: One serving Cleanse for Life. Snack: 1/4 of an apple and one serving Cleanse for Life. Dinner: One serving Cleanse for Life. The Isagenix plan is more than just the IsaLean shake. Here’s a rundown of the other products in the plan . . .
Each box provides you with 6 servings of IsaLean. Be sure to drink plenty of water and to also get lots of fiber in your diet though fruits, fibrous vegetables, beans and lentils in order to assist this product to work to its best effect. Isagenix Ionix Supreme is designed to help you to enhance your focus and concentration. It is rich in vitamin B, and is also claimed to be able to help you to age more gracefully. The Isagenix Snacks are designed to be taken on your cleanse days. It claims to be full of balanced nutrients, including milk and whey protein to help to fill you up and control your appetite. People who are lactose intolerant will want to be wary of this product. Isagenix Cleanse for Life is designed to help in the detoxification process by cleansing the intestinal tract. It is also supposed to help with the loss of body fat. This product contains antioxidants and vitamin B extracted from plant extracts and berries. 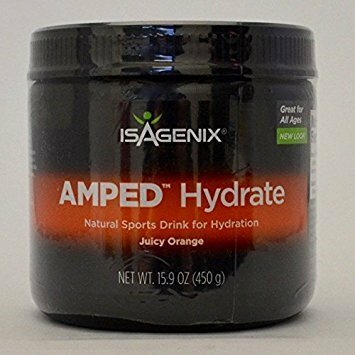 Isagenix Amped Hydrate is designed to improve hydration and speed up recovery after exercise. This product is, therefore, used mainly by Isagenix athletes. This product only gives you 35 calories and is fortified by electrolytes, a glycogen complex and vitamins. Isagenix Natural Accelerator is intended to speed up the body’s thermogenesis. It includes green tea, cayenne and cocoa seed. Isagenix was started in 2002 by Jim and Kathy Coover in the United States. The Coovers began what they called a ‘nutritional cleansing’ business that was able to achieve ‘greater health, well-being and weight loss”. The Coovers decided to set the business up with a multi-level marketing structure rather than a traditional direct to customer selling approach. In 2007, they went international, opening branches in Australia and New Zealand. Multi-level marketing relies on peer to peer recruitment where a distributor holds sales parties to recruit down-line sales people, who repeat this process over and over again. Each distributor picks up a percentage of the sales from every person in his or her down-line. One of the problems associated with multi-level marketing, especially when it comes to health products, is that, all of sudden, people with no qualifications become health experts. This problem is exacerbated when these so-called ‘wellness specialists’ offer advice on social media sites. There have been some reported cases where so called Isagenix experts have advised breastfeeding pregnant women on Facebook to continue using the low calories Isagenix diet despite their doctors advising them otherwise. Of course, the ‘expert’ had a vested financial interest in the sale of the product. Other people have been assured by more Isagenix ‘experts’ that the Isagenix program will help them to ‘cure’ such conditions as asthma, anxiety and insomnia. Multi-level marketing is very similar to the pyramid selling schemes which were popular a couple of decades ago. In most places, pyramid selling is illegal. The difference with multi-level marketing is that is involves the sale of a product or service. The biggest attraction of multi-level marketing is that you can do it from home. Often the lifestyle and the prospect of making bucket loads of money are more important than the actual product, which is often merely an after-thought. Multi-level marketers are invariably pressured to hit up their relatives and friends with long winded sales pitches – and then to try to squeeze from them seven to ten more names of prospective recruits. The reality of multi-level marketing is that it requires a lot of hard work and can be very, very slow to build any traction. After all, it doesn’t take very long to wade through your friends and family. Finding new contacts after that can be extremely difficult and extremely frustrating. While the promotional material may push the opportunity to makes many thousands of dollars every month, the reality is that the average Isagenix distributor will earn less than $500 per year. An Isagenix Australia spokesperson admitted, “Only a small percentage earn a full-time income; the vast majority purchase for their own use or sell only to their family and friends”. The internet is also saturated with clearly fake testimonial pages which provide glowing reports about Isagenix that are written by Isagenix affiliates. The Isagenix plan is heavily biased toward the consumption of supplements and diet shakes as opposed to whole foods. This does not constitute a healthy and balanced nutritional plan. The human body was designed to eat whole foods and there are a lot of micronutrients, including vitamins and minerals, that you will struggle to get into your body on this plan. The Isagenix program also carries with it the very real possibility of some pretty nasty side effects. You get a lot of protein with the plan. That can be a problem in that it may place too much of a burden on your digestive system, leading to stomach pain and diarrhea. Because Isagenix IsaLean includes milk and whey concentrate proteins, these ingredients include lactose. People who are lactose intolerant will, therefore, need to avoid using this product. However, even some people who were not lactose intolerant reported that they experienced stomach problems, gas, bloating and nausea. It should be noted that Isagenix has not been approved by the Food and Drug Administration (FDA). You should, therefore, consult with your medical professional before using this Isagenix program. Because the Isagenix program involves taking in far fewer calories than you otherwise would, you will probably experience a period of lethargy and low fatigue when you go on it. This is especially so after your cleanse days. You’ll probably feel tired for a couple of days after a cleanse day, by which time you’ll be back into your next cleanse day. As a result, you’ll probably be feeling pretty tired most of the time when you are on this diet. In order to lessen these side effects of the Isagenix diet, you should drink a lot more water while on the diet. The overall Isagenix program is high in sugar, which is the opposite 0f what you need when you are trying to drop body fat. When you see that virtually every product in the Isagenix range lists some type of sugar as its second or third ingredient this is not a good sign. Worse than that, the majority of the products are sugars in the form of fructose, which can be harmful. When you consume too much fructose, your liver is unable to process it all fast enough. The excess is converted to fats and sent to the bloodstream as triglycerides. High levels of triglycerides are a risk factor for heart disease. A 2013 study also found that, compared to glucose, fructose may cause you to eat more. That is because satiety hormones are released in smaller amounts after you consume fructose. As a result, fructose will interrupt the body’s natural appetite control system. And as a result of that, fructose consumption is actually associated with weight gain rather than weight loss. 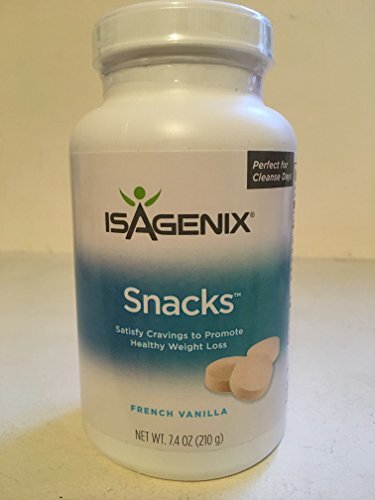 On a shake day, where you consume two shakes per day, you will ingest 38 grams of sugar solely from Isagenix products – that is about 10 teaspoons! This will cause havoc with your insulin levels, making it very difficult for you to lose the fat that you are trying to get rid of. The Isagenix program is an expensive weight loss program. The 30-day plan works out to $378.50. This means that you’ll be paying around $95.00 each week. That, however does not include the cost of the whole food products that you will eat for your lunch time meal on your shake days. The bottom line on the cost is that most people will find it very expensive and unable to sustain financially over the long term. As a result, even if does work, this will be one more of those diets that you do for a short time and then go back to your old ways, with the inevitable weight regain. You’re probably used to websites for weight loss products making some way out claims, but the Isagenix website takes the cake. It claims that the Isagenix plan will support such things as . . . However, there is no evidence to support any of these claims. 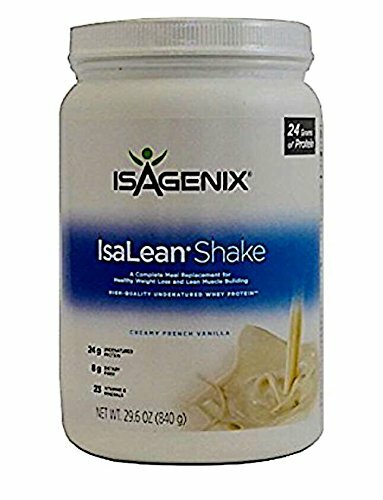 The 18-Shake weight loss meal replacement formula is a direct competitor to IsaLean Isagenix. This product contains all natural ingredients, high protein, a good amount of fiber and an appetite suppressant component. The shake is available in both chocolate and vanilla. You get 15 grams of protein per serving, which is considerably lower than Isagenix. However the quality of protein is much better as you get a blend of whey protein concentrate and whey protein isolate. Whey protein is a high quality source of protein which is easy to digest. 18-Shake also uses all-natural stevia as its main sweetener. Stevia adds just a single gram of sugar per serving. This is great news, both in terms of stabilizing blood sugar and preventing weight loss. Being 150 times sweeter than sugar, stevia is the gold standard when it comes to meal replacement formulas. This product also contains maltodextrin, which is very effective for healthy gut bacteria. This is an excellent fiber ingredient that promotes healthy digestion and appetite suppression. Another important ingredient in 18-Shake is natural cocoa. This is the dry and fermented extract of the cocoa bean. It may lower LDL cholesterol , reduce the risk of blood clots, increase blood flow to the arteries, lower blood pressure and boost cognitive performance. The product also contains such minerals as potassium and calcium. 18-Shake has a great taste, which is a major bonus for a product that should be taken once or twice each day as a meal replacement. This is a quality product that has fewer calories, better quality protein and no artificial ingredients. This is, in our, opinion, a better weight loss formula than Isagenix. 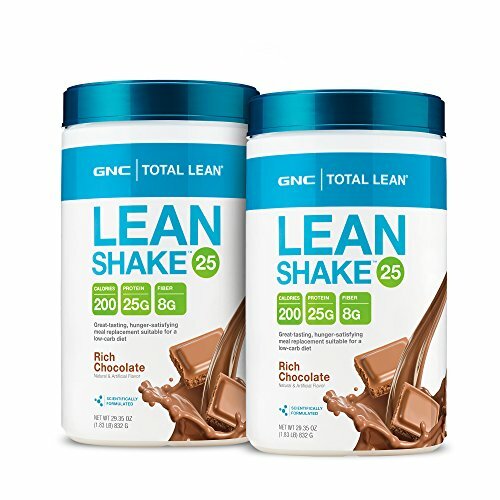 The GNC Lean Muscle Shake 25 formula is a meal replacement that emphasizes increased metabolism along with the attaining of lean body weight. 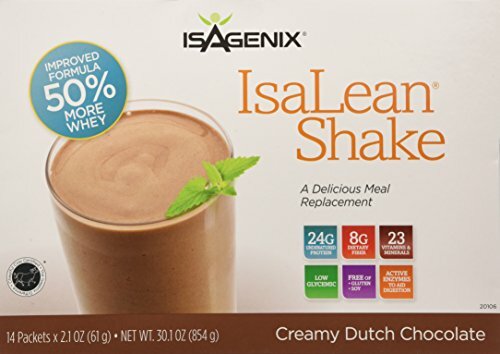 You get 25 grams of protein with this product, which is more than both Isagenix Isalean and 18-Shake. However, the protein breakdown is similar to what you get with Isalean; a blend of whey protein concentrate and milk protein concentrate. This is a problem as milk protein concentrate is a low quality source of protein. On the plus side, however, this product also includes whey protein isolates, which is a much better form of protein than either whey or milk concentrate. 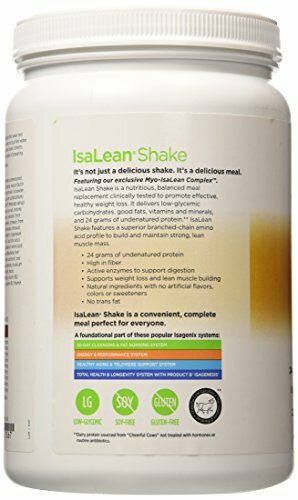 Isalean does not contain whey isolate. GNC Lean Muscle Shake 25 contains some trans fatty acids, This is problematic as you should never knowingly take trans fats into your system. You also get partially hydrogenated soybean oil, which contains about 0.5 grams of trans fats per serving. According to the American Heart Association, trans fats increase your risk of developing heart disease and stroke, raises your bad cholesterol and lowers your good cholesterol levels. Each serving of GNC Lean Muscle Shake provides you with 3 grams of sugar. It also contains artificial sweeteners in the form of sucralose, which is a noncaloric sweetener than can be up to 1,000 times wetter than sucrose. It also contains acesulfame potassium, another calorie free product which is 200 times sweeter than sucrose. Both of these sweeteners may have harmful effects on the body. Herbalife are a well known multi level marketing company that haven it seems, been around forever. 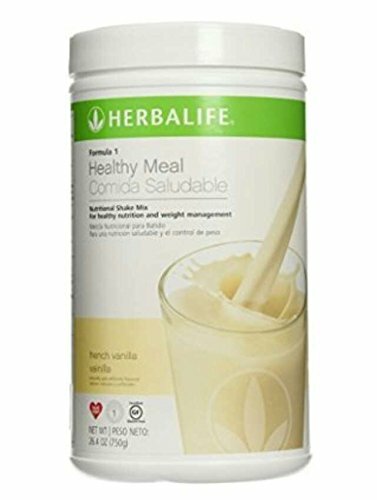 Their flagship meal replacement weight loss product is Herbalife Formula 1, which is available in a range of 13 flavors. This product provides you with just 9 grams of protein, which is sourced from a soy protein base. This protein form may be genetically modified. Also included are 9 grams of sugar in this product, which is the highest by far of any of the meal replacements reviewed on this page. In addition to the high amount of sugar, the type of sweetener used in Herbalife Formula 1 is problematic. That sweetener is fructose, or fruit sugar, which is recognized as being a leading cause of obesity and metabolism disorders. The general consensus on Herbalife Formula 1 is that it has a rather unpleasant, chalky taste. We do not recommend this product. 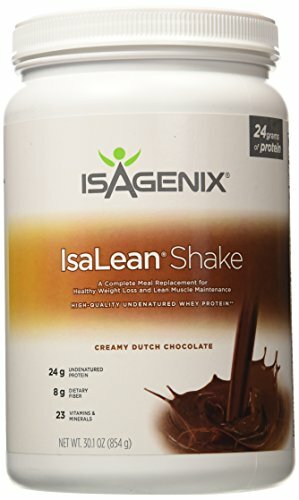 Isagenix IsaLean is a popular meal replacement formula which is sold through multi level marketing, but is also available online. It provides you with a good level of protein, along with plenty of vitamins and minerals. However, it also has a high calorie content and contains artificial sweeteners, including fructose which give it a high sugar level. Our preferred meal replacement product is 18-Shake, which contains better quality protein, has all natural ingredients and is sweetened with stevia.